Police are investigating the stabbing of two men who were rescued and treated after a passing cyclist heard their cries for help emanating from the banks of the Umgeni River in the vicinity of the Blue Lagoon bridge on Wednesday morning. Crisis Medical spokesman, Kyle Van Reenen, said, “A man believed to be approximately 20 years of age has been left in a critical condition after being stabbed multiple times. Marshall Security’s Emergency contact centre received a call from a passing cyclist at approximately 07:00am on Wednesday morning, after the man had heard cries for help coming from two men on the banks of the Umgeni River in the vicinity of the Blue Lagoon bridge. 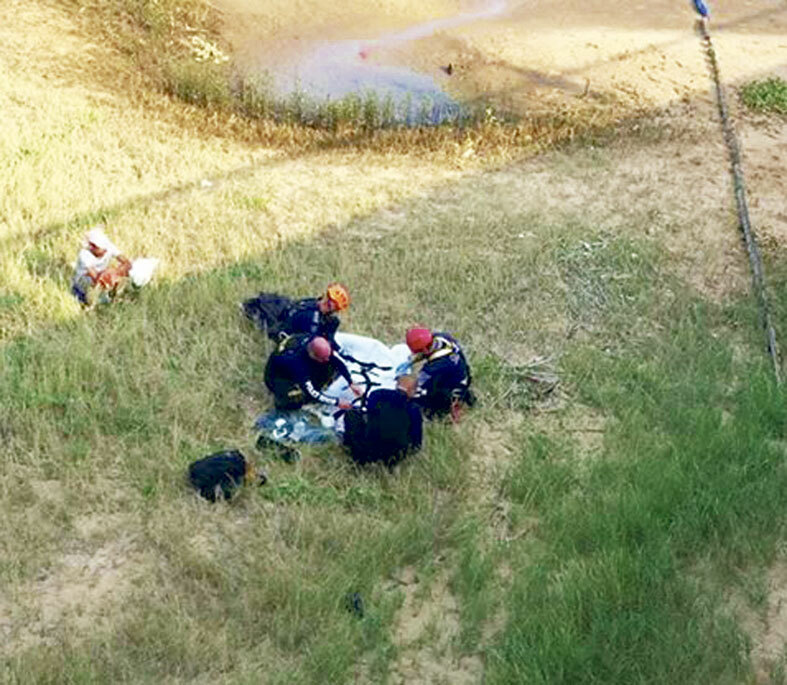 “Emergency and rescue personnel were summoned to the scene and an intricate rope rescue system was setup by Metro and the South African Police Services’ Search and rescue units, to lower medics to the scene. Further investigation found two men to have sustained multiple stab wounds, one of which was left in a critical condition. “Rescue officers and medics stabilised the men before hoisting them back to the roadway where awaiting ambulances transported them to a nearby medical facility for further care,” said Van Reenen. The exact details surrounding the incident are unconfirmed and will form subject of a South African Police Services investigation.